No spending on ANY make up or skin care. No exceptions. I do welcome free gifts or samples though. Note: during this span I shall have at least 3 Glamaboxes (one more Glamabox only) coming in, so that can keep me entertained! £9 off £55 spent made me spent. Ordered two blushes, a skin care kit, and a toner. Not too bad, as all of them are on my wish list for quite a while and this was quite an amazing discount. I had read and watched too much of the Serozinc and Lait-Creme Concentre. Found a place that sells authentic fresh stock at a very reasonable price so I picked up both of them... No regret. 1. Shop my stash! Blog Sale! My iHerb/Real Techniques haul - new duo-fibre brushes! Who doesn't love seeing make up look with red lips? Not Me! Have you ever get more excited with the gift with purchase than with the actual products you paid for? Yes me, in this Nip+Fab and Macadamia Natural Oil loot. Final update of my May Journal. I will be relaxing my ban a little when I'm away on vacation at Taiwan. As long as I do not buy make up I count myself succeed. 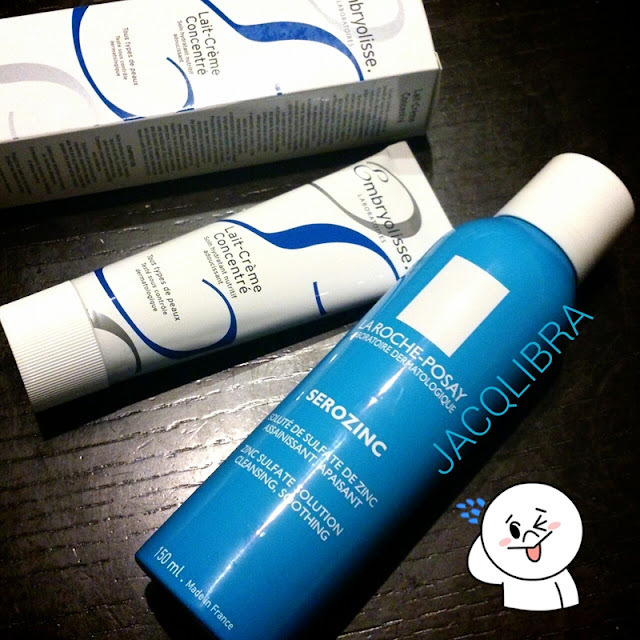 Have you tried LRP Serozinc or Embryolisse LCC? Can I know from which site did you purchase the LRP Serozinc? I used a local beauty shop, not an online one. they do have a yahoo auction site but i do not know if they ship outside hk... email me if you want that shop link! Email me, or find me on facebook!